Fun fact: It’s been less than two months since the last time we wrote a news post on the fact that World War Z 2 had been delayed, and now it’s been delayed again, if you can believe that. As we wrote in March: “Some movies just don’t want to get made.” Back then, the long-delayed sequel’s filming had been delayed due to the availability of star Brad Pitt, who was planning on being on set for Quentin Tarantino’s latest film this fall. Today, news broke that the film had someone been given a fresh set of delays, because director David Fincher would be choosing to shoot the second season of Mindhunter for Netflix first—and really, who could blame him? 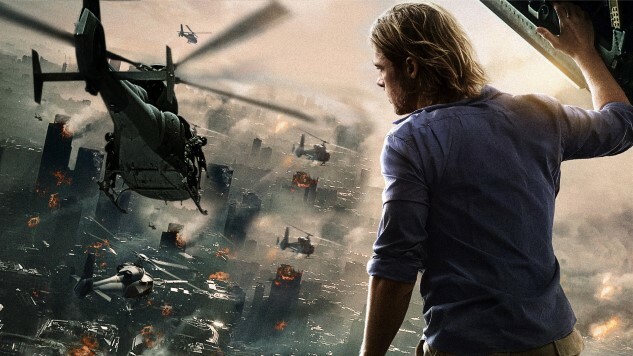 This latest set of delays puts the potential shooting of World War Z 2 somewhere in 2019, but really, you have to wonder if the film will ever get made at this point. Pretty much everything related to this series has been complicated from the start. The original World War Z was based on Max Brooks’ 2006 book of the same name, but rather than keep the book’s interview-based format, which told retrospective stories of the zombie war from all over the globe, the film adaptation was instead rewritten to focus entirely on Brad Pitt’s character Gerry Lane searching for a cure. Those changes were very poorly received by fans of the book, but the film still went on to make a whopping $540 million in worldwide grosses. So given the box office grosses, one can understand why Paramount keeps pressing forward on this film eventually seeing the light of day, but one has to wonder whether any potential moment it had has already passed. It’s been about five years, and it feels like the “zombie” pop cultural zeitgeist has long since passed on at this point. It might be time to let this thing shuffle off into the sunset.